I wish I could recall the number of boxes of macaroni and cheese that I purchased as Eric and Brian grew up. It was the blue box with powdered cheese—you know. And they ate it like it was filet mignon and requested it every day. It was comfort food then, and it is still comfort food. Fast forward several years, and those two still love mac and cheese along with everyone else I know, but they now love the real deal. As we were working on our mac and cheese special issue, I thought about this several times as I watched them sample the delicacies that came out of our test kitchens. 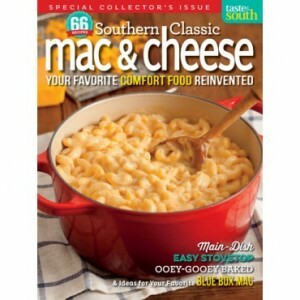 You will love this issue and find new and fabulous versions of mac and cheese to try. Now my grandchildren, they still love the blue box with powdered cheese! Some things never change, nor should they. Please enjoy this recipe from Taste of the South‘s Southern Classic Mac & Cheese special issue, and get free shipping if you order today! Spray a 3-to 4-quart or 13×9-inch baking dish with nonstick cooking spray. In a large Dutch oven, melt butter over medium heat. Add flour; cook, whisking constantly, 1 minute. Whisk in milk, salt, pepper, mustard, and nutmeg. Cook, whisking constantly, until thickened, 5 to 6 minutes. Stir in mozzarella, 4 cups Cheddar, and processed cheese until melted. Remove from heat. Stir in cooked pasta. Pour into prepared dish. Bake 10 minutes. Sprinkle with remaining 1 cup Cheddar. Bake until cheese melts, 4 to 5 minutes more. Do you prefer your macaroni and cheese from the stovetop or the oven? I have a 9yr old boy who can’t get enough of this gooey, soul comforting food – will definitely try this one! Love your blog!! I have a recipe for Cheese Casserole, that came to my mother from my aunt. My children and grandchildren absolutely love it. I have to make it for every occasion we are together. We now laugh at how my thrifty mother (who died at 94) would skimp on the cheese. It makes a huge dish and I use a pound of grated cheese. She would put all the other ingredients together and just sprinkle a bit of cheese on top. I can forward the recipe if you think anyone would like it. 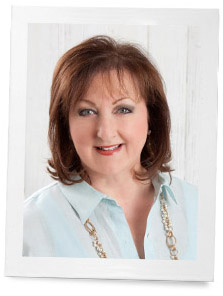 Love your blogs, Phyllis. Have a wonderful day. 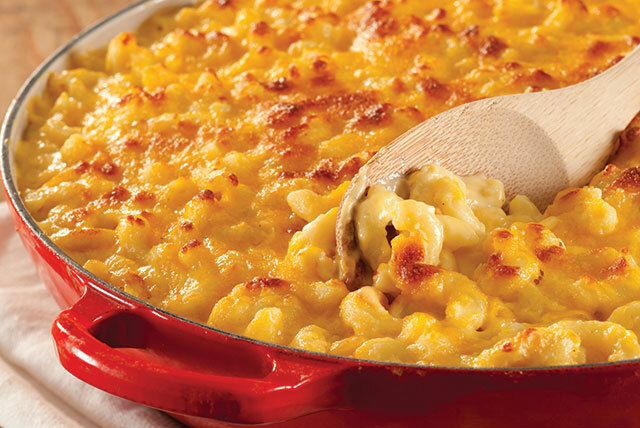 Yum, we love Mac anc cheese too. I will try this one also it’s nice to try other recipes sometimes the new ones become your family’s favorite. Sounds yummy…for my grandson! Do you have to bark or can you just serve it from stovetop? Thanks!! I know 3 boys that love Mac&Cheese!! You probably started the love with 2 of them!!!! various recipes-homemade or boxed – and I am going to follow your recipe above very soon . My brothers ( 5 of them ) and I have wonderful childhood memories of Mom’s Mac and Cheese . Everything fresh and calorie laden-with whole milk,real butter,lots of shredded American and cheddar cheese.The topping had extra cheese and butter baking slowly to a golden brown . I can recall vividly the large casserole as she carefully lifted it from the oven .We always “fought” over who would get the most of that topping on their dinner plate ! If , by miracle , there was any leftover, Mom would fry for breakfast the next morning. Our dear Mom has been gone 3 years come January 23rd . Your post comes at a perfect time . In her honor , I will use the old favorite and will try yours ! As always, thank you for your lovely stories . I am CRAVING this now…..my sons absolute fave!! This looks and sounds so incredibly good Phyllis!! I will have to give this a shot, thank you and hope you have a great weekend!